How about a couple of polar bears? I knit these just for the fun of it. Yarn: Merino Style DK bare from Knitpicks and Wool of the Andes in coal. I think after knitting the two bears, I have enough yarn left to knit another cub. 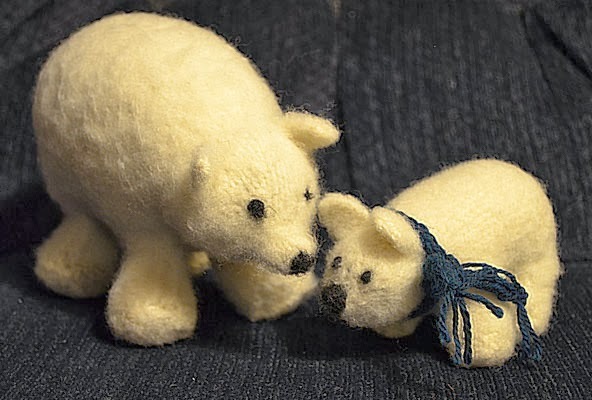 Pattern: Polly the Polar Bear and her cub by Nicole A Davis. 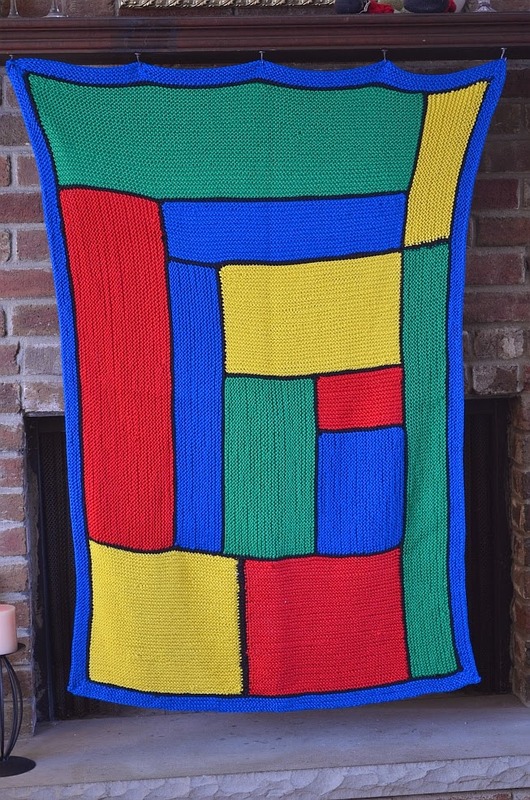 I bought it from Knitpicks. I didn't make any changes to the pattern except to go down a needle size (I think). The pattern is clear and easy to follow. It is strange to knit all the pieces because apart from each other, they don't really look like a bear, but once you sew them together, it starts to look more like a bear. It isn't necessary to do a great job wiht th esewing because the felting hides all. Felting: I felted the polar bears in the washing machine. Before each one was completely felted, I pulled it out, stuffed it, added the eyes and the nose and sewed the back end shut. I then finished felting them. 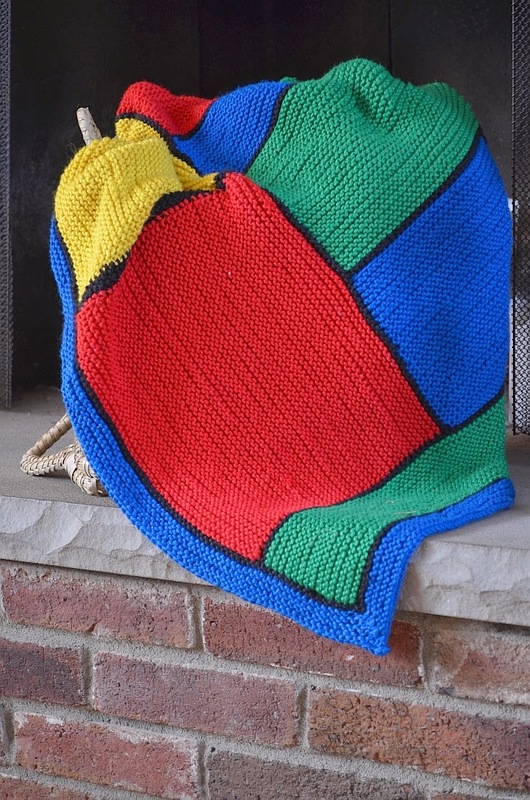 The pattern has clear instructions regarding assembly and felting. I enjoyed this pattern. 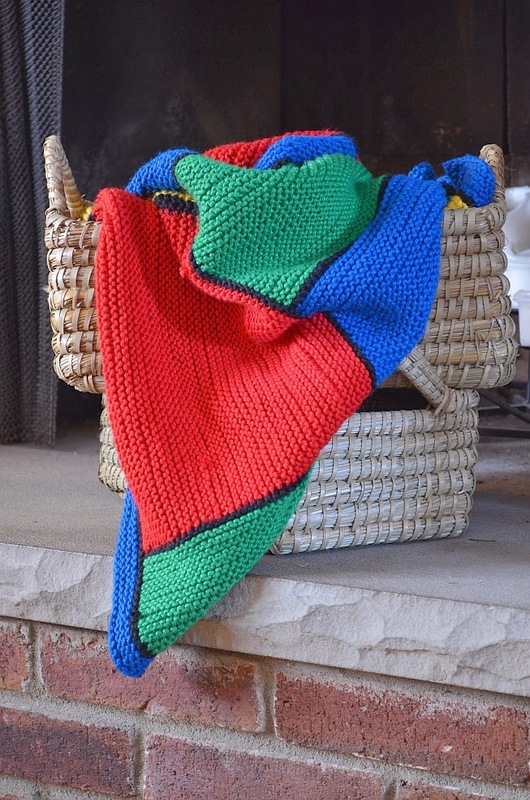 I finished the cub in one evening - quick and easy to knit.